This is a Brief Introduction about what is SEO and how it works. First Let us know, What is SEO? 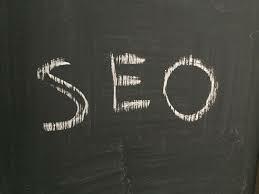 It basically stands for Search engine optimization (SEO). It is mainly the process of getting the traffic from the search engine like Google, Bing, Yahoo, and others as well. This is normally done to increase the quality and Quantity of the traffic. Here I have used the term quality of traffic, Now you will ask, what's its meaning? Quality traffic simply means the Organic traffic. Now, What is Organic Traffic? Organic means when anyone will search for any keyword on any search engine he/she will get the search result. And there he will find your website link in the search result. And he will come to your website through that link which is shown to him by the search engine. Means, if without any promotion any visitor comes to your website just by searching the keyword on the search engine is the Organic visitor and traffic generated from this type of visitor is organic traffic. Not Exactly, It is not that hard as rocket science. Means you don't need to have ELON MUSK for Doing SEO. But, yes It is Also not that Easy like the piece of bread with jam that you just have to put in the mouth. Nowadays, it has been made so easy Few plugins are made like Yoast Seo for WordPress Which has made On Page SEO very Easy. You want to learn basics about On page SEO. As I discussed Earlier, that SEO helps in Increasing the traffic to your site. And this traffic will help your site to grow. The basic need of your site is the traffic. So I also Discussed that how this help in getting you Organic traffic. and the more organic traffic will help you in increasing your page rank. PageRank (PR) is an algorithm used by Google Search to rank websites in their search engine results.PageRank was named after Larry Page, one of the founders of Google. PageRank is a way of measuring the importance of website pages. There is some Algorithm in Google which help in ranking factor. That is called Google Panda. In February 2011, Google released Google Panda which is the change made in the algorithm by Google in search ranking. Its main aim is to give the actual ranking of the site. Means, lower the rank of "low-quality sites" or "thin sites", and "content farms", and "higher-quality sites" on the top of the search results.